I haven't even read the book. I know this must be the case, because there's little here that can account for how highly fans rate Orson Scott Card's 1985 novel. For the book and its hero Ender Wiggin to be as beloved as they are, there's gotta be some heart lurking in there somewhere. My soul, alas, was never stirred by this film adaptation. My spirit did not soar. However, my intellect twitched a bit in ways that made my heart ache disagreeably. This Ender's Game — from writer-director Gavin Hood (X-Men Origins: Wolverine, Rendition) — engages the mind, in some ways that are uncomfortable yet never intriguingly so, but does not engage the heart. That odd omission could be intentional, because the big ideas of this strange mashup of Starship Troopers and Harry Potter — gifted kids go to fascist military school! — seem positive only if your heart is made of stone. Decades after Earth repelled an invasion by insect-like aliens that killed tens of millions of humans, the planet is preparing for another potential invasion by the Formics by training all kids in tactics and strategy, in the hopes of finding a new "Julius Caesar or a Napoleon" who will win the war decisively. Andrew "Ender" Wiggin (Asa Butterfield) is plucked from his regular school to attend the orbiting Battle School, because Colonel Graff (Harrison Ford) and Major Anderson (Viola Davis), who run the place, think he could be the military genius they're looking for. What makes Ender stand out? He accidentally stumbled upon the strategy Earth's leaders believe is needed to defeat the Formics: preemptive assholery on a personal level and preemptive war on a societal one. It's prison rules as a cultural philosophy: beat up the biggest badass in the yard, so no one else even thinks about beating you up in the future. Ender's Game is all might-makes-right and justification for violence. Ender himself articulates it neatly at one point: "Follow the rules, you lose; choose violence, you win." What just barely saves the movie as worth a look for kids (and probably only kids; more on that in a moment) is that Ender eventually rebels against the attitudes his manipulative education has inculcated in him. This is far more science fiction of ideas than of action, and it demands discussion of its ideas — but it doesn't want you to question them too much. Another problem with Ender's Game: Ender's about-face is possible because, we're told, he has a special sort of empathy with his enemies that helps him to understand and even love them. But we never see how this is possible, given the numerous bullies he faces in his various schools, and certainly see nothing that would explain the empathy he comes to have with the Formics. A certain connection between Ender and the aliens jumps out at the end as an almost mystical thing, entirely at odds with the film's hard-science-based approach up to that point. 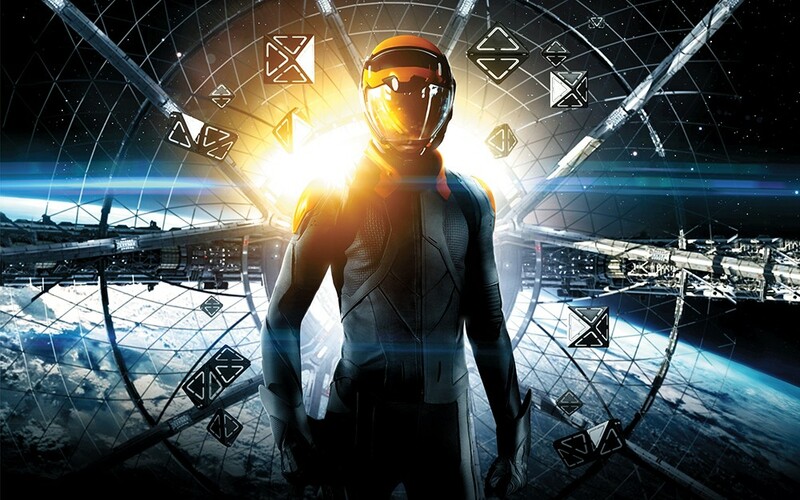 Why is this version of Ender's Game probably best suited to kids? For one, the tactics and strategies that amaze Ender's elders don't seem terribly ingenious. All the adults are stunned by how Ender utilizes a new weapon in a battle scenario. How can the weapon's designers not have had this in mind? And while it's commendable for the film to play around with zero-gravity ideas — there's no up or down in space — and smart of Ender to have figured this out on his first trip off the planet, it's ridiculous that the Formics haven't realized it. Adult sci-fi fans will find much of what goes on here to be rather simplistic.